Written by Carlos Lisandro Recinos and translated into English. Women are often the victims of sexual assault and have to flee their place of residence because of the lack of guaranteed protections from public security officials. 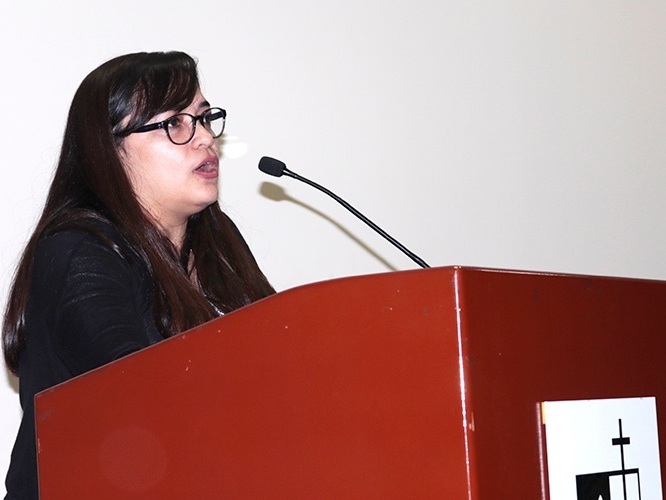 During a presentation at the “Justice, Migration, and Social Movements” forum at the Universidad Centroamericana, Cristosal’s Head of Regional Displacement Monitoring Rina Montti said that women are the group that is most affected by forced displacement. “In 2018, a total of 571 people were victims of displacement.” The majority of them, 54%, were women,” explained Montti to the university students and human rights activists who attended the event organized by Oxfam El Salvador. Montti stated that one of the reasons why women are the most visible face of forced displacement is that, in some cases, male family members are killed. Additionally, it is due to the fact that women are sometimes forced to move in order to escape sexual violence. “Usually women are the majority of victims of forced displacement due to factors stemming from the murder of their partners or parents, or because these family members have already migrated. Another reason why women flee their place of residence is sexual abuse,” she explained. For the regional office in El Salvador, migration is a structural phenomenon, and its root causes have been cyclical throughout the last few decades. Nevertheless, a 2018 survey conducted by IUDOP revealed that a large percentage of the people who fled their homes and places of origin preferred not to state their reason for leaving. “If people don’t want to state why they migrate, then it’s important to pay attention to potential motivations. Insecurity, as well as a distrust of the police and Armed Forces, are important background contexts,” Montti explained. The expert commented on the urgent need for measures from State institutions that protect the victims of forced displacement, even though she noted that at least 9% of the victims blame security officials for the violence that forced them into displacement. “The psychosocial damage must be repaired. The majority of the victims of displacement due to violence are between the ages of 0 and 25 years. The State should protect them,” she concluded.